Halloween may be over, but my jones for mystery, suspense, and horror has only gotten stronger. I'm not sure why scaring myself silly feels like such a wonderful escape right now, but I'm not going to overthink it—we like what we like, right? I gotta be me. I can't think of the last time I had this much fun with a book. Security was pure enjoyment from start to finish. A high-rise hotel is about to have its grand opening, but before that can happen some assassins get in, and blood will be spattered like ketchup over a plate of fries before it's all over. Hotel manager Tessa is brisk and businesslike, but she's thrown for an understandable loop when a man from her past shows up unexpectedly...and when her coworkers start turning up violently dead. 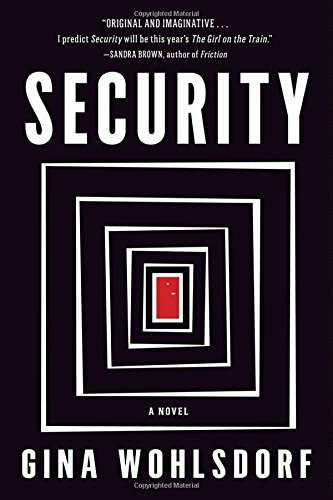 The story is told from the varying perspectives of the many security cameras throughout the property, which provides a seamless, omnipresent feel that only adds to the tension—we can see the bad thing that's about to happen, but we're powerless to stop it. Just like everyone inside the doomed hotel. 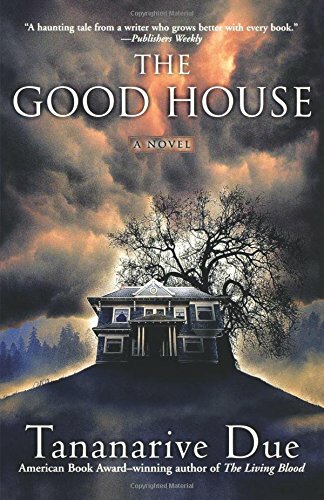 Tananarive Due has been compared to Stephen King, and the comparison is more than justified. Like King, Due writes in a deceptively simple style that makes her characters instantly knowable and the reading feel effortless. Also like King, she's not afraid to write a long book—which is good in some ways, bad in others. 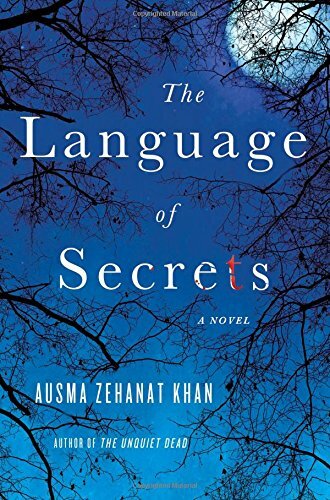 She gives herself plenty of page space to develop each scene and thoroughly plumb the relationships between the characters, but at over 20 hours in the audio version, I found myself losing steam in the second half. Still, there are few things creepier than a house that makes people do bad things. And the part that still gets me? They smile while they do them. *shiver* This would be a good one to settle in with over a long holiday weekend. This book didn't hit on many of my personal fright buttons, but it's such a well-written psychological case study it grabbed my attention and held on tight. A couple with a young daughter moves into an apartment in a new high-rise that seems too good to be true. It would be perfect in every way, except for that graveyard next door. See where this is going? 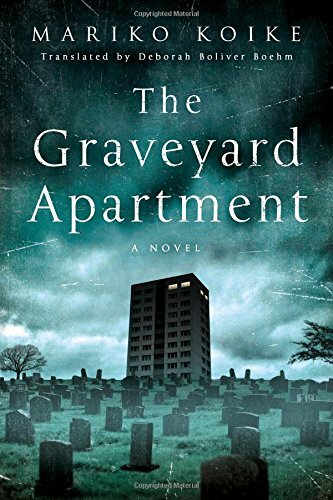 Then the other tenants start moving out of the building, the elevator develops a nasty habit of trapping people in the basement, and by the time the couple realizes they need to get out, it may be too late. Koike does a really good job of slowly tightening the vise until the tension is almost too much to handle. Fair warning, though—if you're like me and prefer thrillers with tidy endings, this book will leave you wanting in that regard. I picked this one up because I wanted a book with a really, really cold setting. This fall has been entirely too warm for comfort around here, and if I couldn't bundle up in a blanket in front of a frosted windowpane, I figured I could at least immerse myself in chillier environs through my reading. And I was not disappointed: the Swedish Lapland is really damn cold, especially so in the 1700s before central heating was a thing. Bonus: main character Maija is a bonafide badass, self-reliant and determined to get to the truth of her neighbor Eriksson's death. 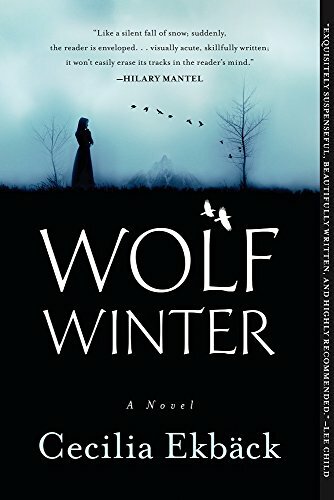 Maija's daughter finds Eriksson dead on the mountain, and the townspeople are quick to blame it on a wolf attack. But Maija has seen the wound, and she knows it was inflicted by man, not animal. And then the snow starts to fall. The day after I started reading Dust and Shadow, I came across Lyndsay Faye's open letter to The President Who Shall Not Be Named, which made me bawl like a baby (in a hopeful way). So yes, I'm officially a fan for life. I've added every book in her back catalog to my TBR. It's happening. Anyway, topical feels-y blog posts aside, this is a great book on its own merits and was just the kind of cozy read I needed to make me feel better about life. Sherlock Holmes and John Watson investigate the notorious Jack the Ripper killings—what could be better? Holmes and Watson are the kind of gallant, stand-up guys you don't see too often these days, in literature or otherwise. They are the opposite of cold and hardened detectives; in fact, their empathy in the face of nightmarish violence is what makes the book so great. Certain politicians should take note. There is no better thriller writer than Tana French. That is not hyperbole. She's the gold standard. 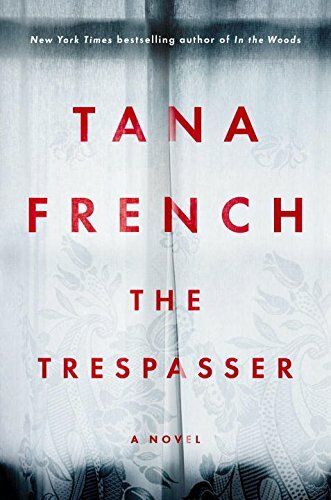 The Trespasser is the sixth book in her Dublin Murder Squad series, but the good news is they each work just fine as a standalone. 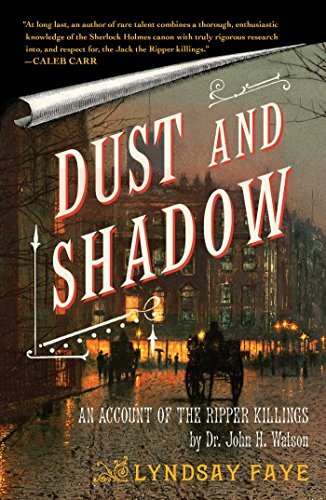 In this outing, Detective Antoinette Conway is investigating what looks like an open-and-shut domestic case along with her trusty partner Stephen Moran, but from the very beginning, odd details arise that keep the two greenhorn detectives from perfunctorily filing it away. Conway has a major chip on her shoulder as the only minority woman on the squad, and it might keep her from seeing things as they really are. Smoothly written, perfectly paced, expertly plotted—every Tana French mystery is a five star read for me. I'm seriously considering getting all five previous books (including this one) from the library and holing up with them over Thanksgiving weekend.